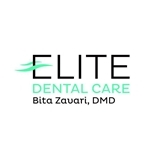 Elite Dental Care; Bita Zavari DMD (Portland) - Book Appointment Online! ***PLEASE NOTE THAT YOUR APPOINTMENT IS NOT CONFIRMED UNTIL OUR OFFICE PERSONALLY CONTACTS YOU TO VERIFY YOUR INFORMATION IN ORDER TO RESERVE YOUR APPOINTMENT. When you first come to Elite Dental Care, you’ll notice something different. We aren’t just here to clean your teeth or repair your smile. We are here to do something more, something special. We see you as a whole being – a smile, a body and personality – and we treat you that way. Person to person… not simply doctor to patient. We want to know about you. Why? When we know you, we can treat your oral and overall health much more effectively. We can get your smile healthy, but we can also make sure that it reflects your very individual desires and that our care is tailored to your specific needs. And surprisingly, these conversations often end in more than a better smile. They end in friendships that reach beyond the office and into our daily lives. I had an amazing experience, when I used ZocDoc I forgot it was hooked up to my old phone number. Despite being unable to contact me, when I showed up at 8 am they did their best to squeeze me in. I am so thankful I found this dentist office and will be returning!